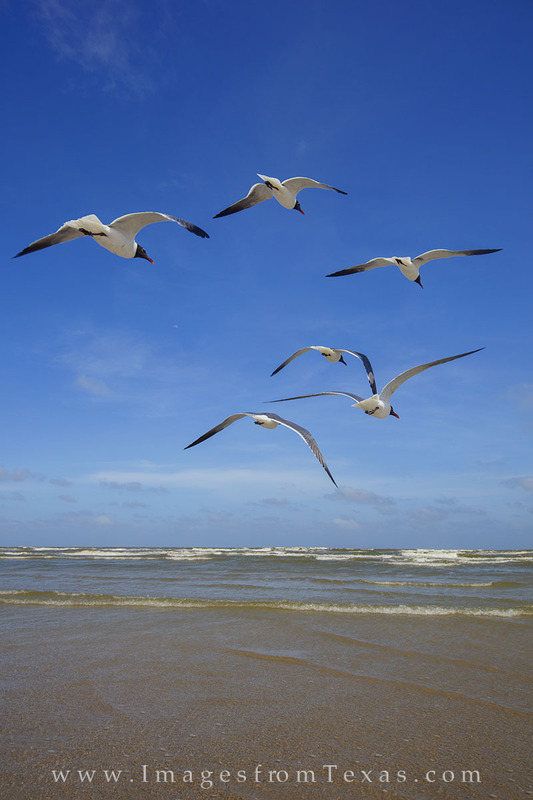 Seagulls coast along the sand beach at Port Aransas. Taken against a blue summer sky, these birds seemed free and undeterred by my presence. Photo © copyright by Rob Greebon.